Blueberries used to be really hard to grow and their harvesting season only lasted a short time. That was until 1911, when a farmer’s daughter from New Jersey met a USDA botanist and together created the first commercial blueberries. New Jersey was the birthplace of a fruit revolution! The world has since been blueberry-crazed, and for good reason. They deliver loads of antioxidants, vitamins and minerals in a tiny, low-calorie package. Fresh blueberries are usually available most of the year, but frozen blueberries are an equally nutritious and often more economical, convenient way to buy them. 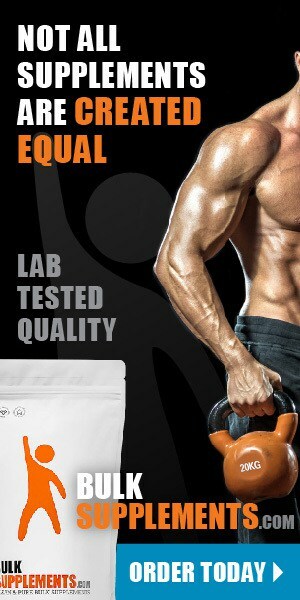 Of course, dried extracts are also available as supplements. Fresh, frozen, juiced or as a supplement, blueberries are a rich and delicious source of nutrients including the powerful antioxidant anthocyanin, vitamin C, vitamin K and manganese. Did you know that blue is one of the rarest colors found in the natural world? Blueberries get their striking deep blue color from the antioxidant anthocyanin. Antioxidants are given a lot of credit for their health-promoting properties. But what are antioxidants, and what purpose do they actually serve? However, because they still carry an electronic charge, these free radicals can react with and damage other molecules (including our DNA!) (x). Additionally, they can form chain reactions wherein the molecules they damage also become free radicals (x). This is where antioxidants come in. All antioxidants contain a single electronic charge which pairs with the free radicals’ prematurely dropped charge, thereby neutralizing the free radical altogether. Anthocyanin may also play a role in decreasing the risk of developing conditions like diabetes, chronic pulmonary diseases and cancers. We still need more research around this, however (x). One cup of blueberries (but honestly, who stops at one cup?) provides 24 percent daily value of vitamin C. Vitamin C is itself an antioxidant but has other important functions too (x). For one thing, it plays a role in strengthening and boosting the immune system. During sickness, infections or even during times of stress, our cells quickly burn through vitamin C (x). Making sure we get enough is important for the immune system because white blood cells — specifically phagocytes and t-cells — use it to help fight infections. This is why it’s recommended to take when you’re under the weather (x). Not only does it help you feel well, vitamin C helps you look good too! Skincare products that promise tighter, more youthful, healthier looking skin often contain vitamin C. This is because vitamin C helps prevent the breakdown of collagen, the protein that gives skin its elasticity. (x). Low on energy? You’re in luck. Vitamin C is vitally important for energy production. It directly contributes to the ability of cells to make a molecule called adenosine triphosphate (ATP for short). ATP is what fuels every cell in the body. Without an adequate supply of vitamin C, the energy-making process slows or stops (x). Green leafy plants usually come to mind when thinking of vitamin K. Don’t like to eat your veggies? No problem! It turns out that blueberries are also a good source of this important fat-soluble vitamin (x). Vitamin K is essential for regulating blood coagulation. It also helps maintain healthy bones, can boost metabolic energy and alleviate inflammation (x, x). Vitamin K is also important for cardiovascular health. It helps prevent calcium deposits from building up in the arteries, a condition known as coronary artery calcification. The “Rotterdam Study,” which sampled 4,807 subjects, concluded that a regular dietary intake of vitamin K could aid in the prevention of coronary heart disease (x). A word of caution, however; many case studies have shown complications caused by vitamin K rich supplements in people who are taking the drug Warfarin to treat and prevent blood clots (x). Manganese is a trace mineral and is needed by the body in small amounts. 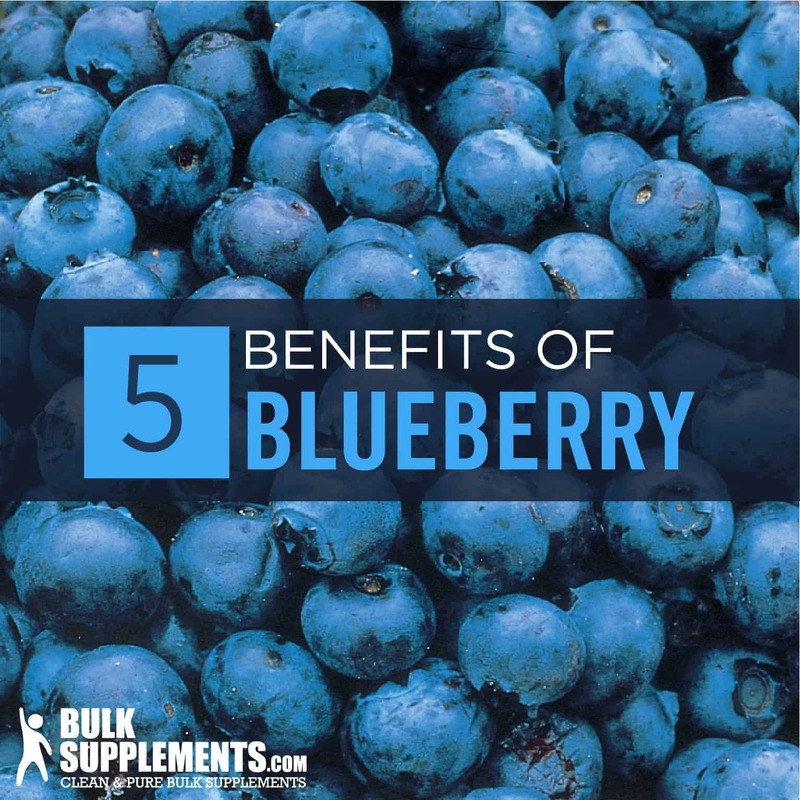 It must be obtained through the diet, and blueberries are an excellent source, providing about 25 percent of the recommended daily intake in just one cup. Like anthocyanin and vitamin C, manganese functions as an antioxidant. It is part of a larger molecule called superoxide dismutase (SOD) which is considered one of the most powerful antioxidants in the body (x). Manganese also helps to regulate blood sugar levels. Studies have shown that those who suffer from diabetes tend to have lower levels of manganese (x). Concentrated in the pancreas (the organ responsible for producing insulin), our body’s store of manganese helps stabilize blood sugar by properly secreting insulin (x). Because of its potential for toxicity, it’s recommended to make sure you’re aware of how much manganese you are getting through supplements. Blueberries could aid in weight loss because they are a delicious, sweet snack that is relatively low in calories and high in fiber. One cup of blueberries contains just 85 calories. But there may be more to the story. Emerging data suggests blueberry juice could be instrumental in preventing obesity. A study conducted in 2013 sampled mice fed a high-fat diet (HFD) and found that mice given regular servings of blueberry juice were better able to stave off weight gain (x). Blueberries belong to the genus Vaccinium, which includes cranberries, lingonberries, huckleberries and bilberries. The U.S. is the world’s largest producer of blueberries. Blueberry plants are extremely resilient to drought and fire. Mark your calendars! April 28 is National Blueberry Pie Day and July 11 is National Blueberry Muffin Day! Blueberry powders, juices and extracts have been historically used as paints and dyes. Early American colonists made grey paint by boiling blueberries in milk. Blueberry extract is safe for most people to take in the recommended dosages. However, because blueberries can lower blood sugar, those with diabetes should consult with a physician before taking this supplement. Take 800 milligrams (rounded ⅓ teaspoon) once or twice daily, or as directed by a physician. Best taken with a meal. Of course, it is important to speak with a medical professional before supplementing with blueberry extract. Blueberries are a small, but mighty fruit. Rich in vitamins C, K and manganese and packed with antioxidants, blueberries and blueberry extract supplements can be an excellent way to boost your nutrition. And all with a relatively low caloric footprint!